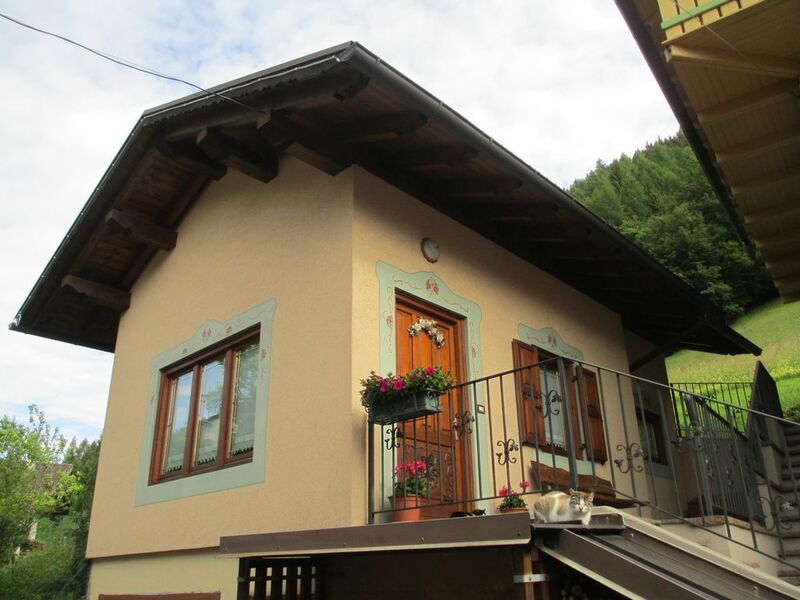 In the green heart of Trentino, rent a single furnished house consisting of kitchen equipped with oven, microwave, fridge and freezer; living room, bathroom with shower, washing machine and a mezzanine bedroom with double bed and wardrobe (possibility to add a third bed). Located in Passo Gobbera, quiet area at 1000 m s. L.M. ideal for those who want to spend a relaxing holiday. In winter it is possible to go snowshoeing in the wonderful snow-covered woods. Nearby there are Nordic ski slopes on Lake Calaita and downhill, snowboard and toboggan slopes located in San Martino di Castrozza and Passo Brocon. In the summer it is possible to go for walks in the woods full of mushrooms, animals and small fruits. Casa coccola e curata: perfetta per una coppia. Proprietaria molto gentile; luoghi e panorami bellissimi: da consigliare assolutamente.